An avenue of trees commemorates those from the district who served in World War One. The avenue, which was originally planted with walnut trees in 1920, was extended in 1922. 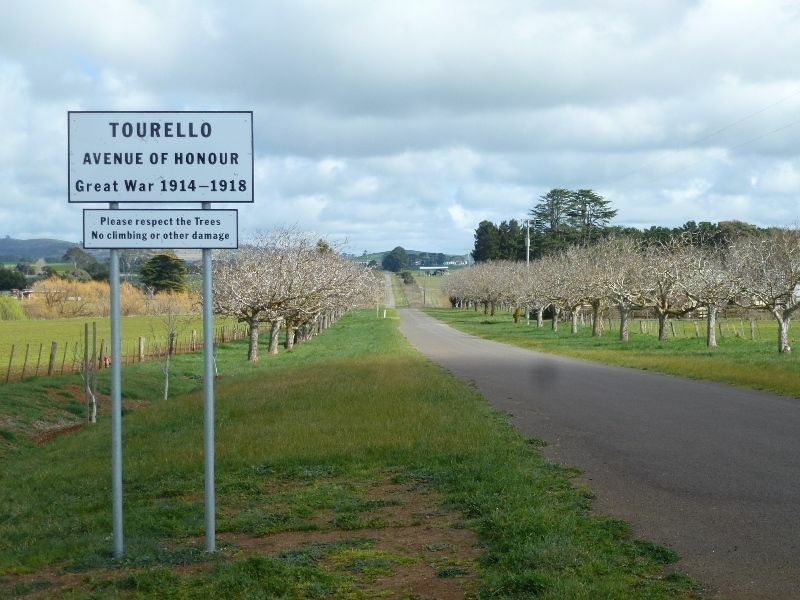 The opening ceremony in connection with the Tourello Honor Avenue took place on Friday last, under favorable weather conditions,a large assemblage being present. A walnut tree was planted by a relative or friend for each soldier whose name is on the Tourello State School Honor Board, followed by those soldiers who are now connected with the district, and in a few years’ time- the avenue, if proper care and attention is paid to the trees in the growing stage, should be an ornament to the district and instructive to the children. After the planting the gathering proceeded to the school grounds, and the chairman, Mr Jas. A. Troup of Tourello Lodge, after reading apologies from Mr D. McGrath, M.H.R and others, introduced Sir A. J. Peacock, and called on him to perform the opening ceremony, which he did in his usual fine style. 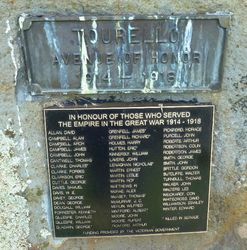 Suitable addresses were also given by Mr Wm Dougall (Ballarat Shire) and Cr P. Rowe (Mayor of Clunes). Afternoon tea was then partaken of, and concluded a most enjoyable day. The Ballarat Star (Vic), 4 August 1920. The Tourello Avenue of Honor received further extensions on Thursday by the planting of trees for district returned soldiers. 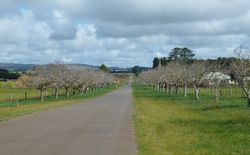 This avenue, of which the residents are very proud, now contains 52 uniform walnut trees, and will be added to from time to time. 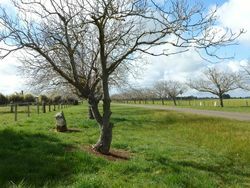 Preparations are in hand for putting name plate on the tree-guards, and working bees by local residents are fencing the avenue to protect it from road stock. 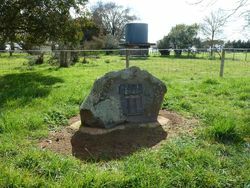 The local State school holds a very prominent position in the patriotic fund, being first in its class in the Ballarat No. 2 district, nearly £44 above the next highest. Ballarat Star (Vic), 2 August 1922.